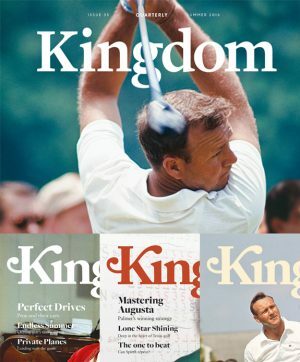 Arnold Palmer’s Kingdom magazine features the best editorial and photography from top contributors with all the latest golfing news, celebrity profiles, extensive travel features and stories on all manner of fine pursuits. 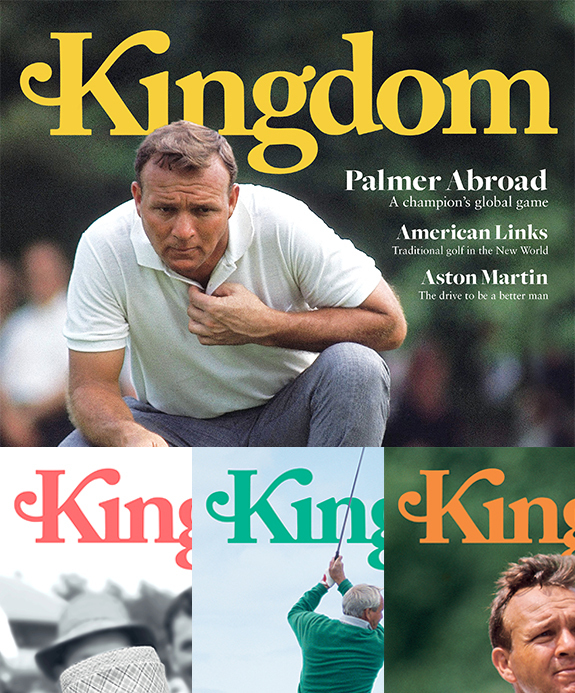 The magazine reflects and inspires the interests and lives of the members and guests of Arnold Palmer Design Company courses. Kingdom aims to provide our readers with the best editorial, best design, best quality of print and the best products and services available in the world. We would like to invite you to be a part of our magazine, and we thank you for your support. 25% of all subscription revenue will be donated equally between the Arnold Palmer Hospital for Children and the Winnie Palmer Hospital for Women and Babies in Orlando.